According to an article from Entertainment Weekly, the cast wants to the fans to decide where they go on vacation. The viewers can send them suggestions via Twitter with the hashtag #JSFamilyVacation. The only place that they ruled out was the White House – which would be hilarious, but I understand why they would want to vacation elsewhere. 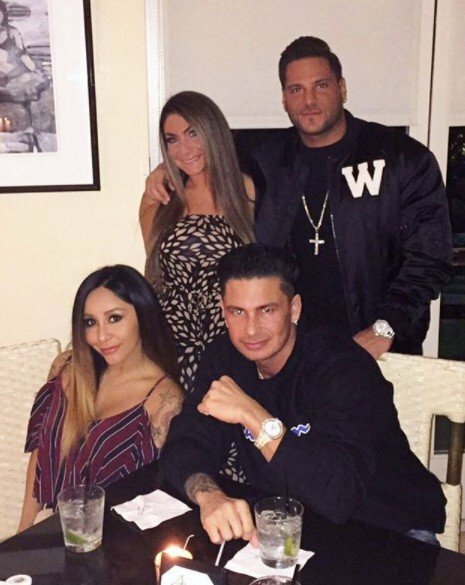 It is assumed that everyone’s significant others and children will be along for the ride since the phrase “family vacation” is in the title, but one husband who will not be a part of that is Snooki’s man Jionni LaValle. He shared a screen shot of a note on Instagram with the caption #IamWhoIam. RELATED: Snooki And J-Woww Return The Jersey Shore House… This Time With Toddlers! TELL US- WILL YOU WATCH JERSEY SHORE: FAMILY VACATION? WHAT DO YOU THINK ABOUT JIONNI’S REFUSAL TO FILM FOR THE SHOW?